The Nature Conservancy states that the largest loss of open space is now caused by energy sprawl—the amount of land resources developed for the production of energy from both fossil and renewable resources and all of the associated infrastructure. Nowhere is this phenomenon more apparent than the Big Bend or Trans-Pecos region of West Texas. With the notable exceptions of Big Bend Ranch State Park, Big Bend National Park, and the Guadalupe Mountains National Park, the vast majority of this western expanse consists of privately owned ranch land. This area of West Texas is the most energy-intensive geographic region in the United States, if not the world, according to the Bureau of Economic Geology at the University of Texas at Austin. At the same time, according to the World Wide Fund for Nature, this ecoregion may be the most biologically diverse desert in the world. This great western expanse is populated by small, rural communities unaccustomed to rapid industrial development. Thus there is a new-found, critical need to balance energy development (that benefits far-flung urbanized areas) with new energy resources while protecting the ecosystem value and community well-being that accrue to local stakeholders. The Cynthia and George Mitchell Foundation has undertaken this challenge by creating a sensible community- and landowner-driven initiative to help preserve these natural resources while deriving the benefits from these nascent energy sources. With expanding oil and gas production, ever-increasing renewable energy development (both wind and utility-scale solar), a plethora of oil and gas pipelines and electric transmission lines, and growing transportation-related infrastructure, the region is a hotbed of activity that defines Texas’s role as a global energy leader. With advances in innovative drilling technologies, vast new oil and gas development is moving fast-forward within pristine lands and communities that include the world’s largest spring-fed pool at Balmorhea and the foothills of the Davis Mountains, near the McDonald Observatory. In addition, over $1 billion worth of large-scale solar farms are being developed. Along the Devil’s River, Chinese companies are buying up Texas’s heritage ranches and French companies are dropping in massive installations of wind turbines along the riverbanks. Given this unmitigated growth, energy-related development is expected to industrialize the entire Trans-Pecos region over the next two decades. As noted, this sparsely populated, arid, and rugged region of Texas is one of the most biodiverse areas in the Western Hemisphere, offering spectacular vistas and incredible biological diversity. Habitats vary from desert grasslands and scrub, sand hills, and rugged plateaus to wooded mountain slopes that support mixed hardwood and coniferous forests. More rare and endemic species are found here than in any other part of the state. 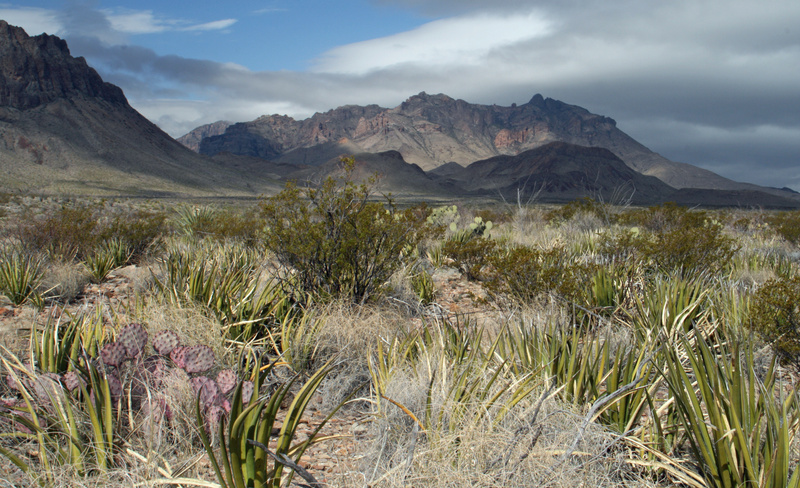 One out of five Texas endemic plants occur nowhere else. Springs, streams, creeks, and other desert water sources are scattered throughout the Trans-Pecos region. These precious water sources are necessary to sustain flora and fauna in these microhabitats, especially during the weather extremes that dominate much of West Texas. These desert water resources are now rare and those that remain are already threatened by overuse and pollution, even without new development. Particularly vulnerable springs and streams are found at McKittrick Canyon in Guadalupe Mountains National Park, Big Bend Ranch State Park, and Balmorhea State Park. The McDonald Observatory, located near Fort Davis, is one of the premier astronomical observatories in the world. The high and dry peaks of the Davis Mountains make for some of the darkest and clearest night skies in the region and provide excellent conditions for astronomical research. The Mitchell Foundation recognizes both the value and risks of energy development in the region. A number of significant impacts driven by these energy-related operations must be addressed if the area is to be developed in a socially and environmentally sustainable fashion. The question is not if this region of Texas should be developed; rather, the question is how can the area be developed in a way that protects its natural resources, communities, and landowners. 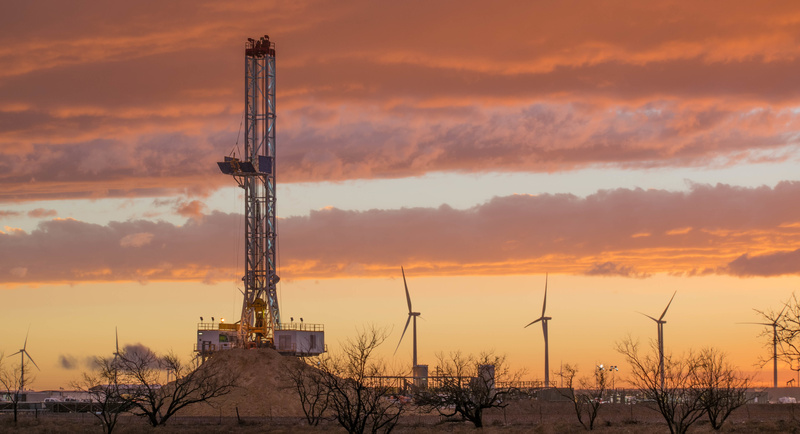 The Mitchell Foundation’s latest blog initiative focuses on energy development in the Big Bend region of Texas, its potential impacts, and how to mitigate them. We have invited a knowledgeable group of experts made up of university research centers, energy industry leaders, community stakeholders, and environmental organizations to provide their perspectives on the challenges and solutions of meeting both energy needs with conservation and community protection goals. No one was more committed to balancing environmental protection, social equity, and economic vibrancy than George P. Mitchell. As a leader in oil and gas exploration, conservation, sustainability practices, and land development (based on scientifically-proven and principled analysis), Mitchell called on the foundation to vigorously pursue innovative, sustainable solutions for human and environmental problems. The foundation is dutifully and purposely committed to carrying out his values and vision, with an intent to serve as an engine of change in both policy and practice in an area of Texas that is one of the most energy-intensive geographic regions of the world, as well as one of the most biologically diverse ecoregions on earth. Marilu Hastings is vice president, sustainability programs for the Cynthia and George Mitchell Foundation in Austin. Marilu leads the foundation’s strategic grantmaking programs, including Clean Energy, Shale Sustainability, Water, Land Conservation, and Sustainability Education. She has held several leadership positions during her 30+ year career, including the Houston Advanced Research Center from 1996-2008. She is a member of the National Petroleum Council at the U.S. Department of Energy, the Energy Institute Advisory Board of the University of Texas at Austin, and the National Academy of Sciences’ Roundtable on Science and Technology for Sustainability. She earned a Bachelor of Arts in economics and political science from Duke University, and an MBA and a Master of Public Affairs from the University of Texas at Austin.